Two months ago, on September 22, two suicide bombers blew themselves up outside All Saints Church in Peshawar when congregants were leaving the church after the Sunday communion. The incident was a landmark in the history of Pakistani Christians. To condemn this largest attack on the Christian community – in terms of loss of life – Christians from across the country held protest rallies, claiming that, as a recognised minority, the government fails to protect Christians. Reactions from the Muslim majority to those protests were mixed, which might signify how Christians are on the whole perceived in Pakistani society. In the light of UK Foreign Office Minister Baroness Warsi’s speech in Washington DC ten days ago, World Watch Monitor has looked back over the period since the Peshawar bombs. A climate of much sympathy has nevertheless been punctured by several charges of blasphemy against Christians for actions in the immediate aftermath of the tragedy. A large number of Muslims expressed sympathy with the beleaguered Christian community (estimated at about 2 per cent of the population). For example, Dr. Taimur Rehman, an assistant professor of political science at Lahore University of Management Sciences, formed a human chain outside a Catholic church in Lahore to condemn the Peshawar blasts, and to express solidarity with the Christian community. In several areas, Muslims joined Christians in their protests, while in others (Iqbal Town in Rawalpindi, Yahounabad in Lahore, and Michael Town in Karachi) protests were met with ridicule and strong resistance. However, despite the sympathetic majority, four blasphemy cases against Christians were registered in less than a month, four times higher than the monthly average recorded over the last two years. In all these blasphemy charge cases, no direct evidence was available against those accused. However, some suspect the rhetoric around the church bombings influenced a few disaffected Pakistanis, who, seeing Christians as suitable targets, took up blasphemy charges against them. “The Christians are the enemies of Islam and Pakistan. Therefore, we have targeted them and we will continue our attacks on non-Muslims on Pakistani land,” said a representative from Jundul Hafsa, a subsidiary of the Tehrik-e-Taliban Pakistan, which claimed responsibility for the Peshawar attack. The group said the church attacks were to avenge “US drone strikes on the Taliban and Al-Qaeda operatives in the Pakistani tribal belt”. “We carried out the suicide bombings at Peshawar church and will continue to strike foreigners and non-Muslims until the American drone attacks stop,” Ahmadullah Marwat, a spokesman for the group, told a foreign news agency by phone. Christians across the country held street protests against the lack of protection in wake of Peshawar bombings. The city of Hyderabad, 750 miles south of Peshawar, came to a halt after Christians held protest rallies in virtually every corner of the city. However, some anti-rally protesters got in amongst the Christians and started attacking passers-by and buildings such as gas stations, said Catholic priest Father Samson Shukardin. “The situation got tense but it still remained calm because the Muslims were equally saddened by the attacks,” he said. Back in the north, tensions remain between the Malik and Pashtoon clans and the Christians of Iqbal Town, Rawalpindi. When the Christians there held a protest rally on September 23, about two dozen men pelted them with stones. Saleem Masih, a resident of Iqbal Town, said that three days after the protest, a Muslim desecrated a copy of the Qur’an, but Christians were blamed. For the following few nights, he said more than 100 armed Christians guarded the Christian area in Iqbal Town. On October 29, at about 7pm, worship was taking place in the Pentecostal Saints Church of Pakistan in Iqbal Town when about five young Pashtoon men thumped the main gate, shouting: “close this den of prostitution” (Urdu: kanjar-khana band karo). When the congregants came out, the young men fled from the scene. A similar episode unfolded on November 2 in Iqbal Town, where a Christian convention was taking place. A group of young men again tried to disrupt the gathering. “One of them said that they are the ‘lords’ of this area and nothing can take place without their permission,” Riaz Masih told World Watch Monitor. After this, a scuffle broke out between the Christian security men and the attackers. In Lahore, when Christians from the Christian colony of Yahounabad were holding a rally, a Muslim vegetable vendor, Muhammad Akbar, known as Billa, jeered at them. He shouted at protesters that it didn’t matter that a “few Christians had died in the [Peshawar] blast”. He said these same Christians had also come out to protest when Joseph Colony was set on fire. “He even went on to ridicule the poor Christian community by saying that Christian women were willing to do anything for the sake of two kilograms of potatoes, so what right did they have to protest,” Pakistan People’s Party minority wing leader Napoleon Qayyum told World Watch Monitor. Violence then broke out between the Christians and Billa, during which his shop was damaged. Since then, local Christians have boycotted Billa’s vegetable stall. In Karachi, the largest city in Pakistan, the Christians of Michael Town had to flee from their homes following a rally on September 23, after they were accused of committing blasphemy by pelting the sign of a mosque with stones. A journalist working for a local news channel, who reached the site when the attack was taking place, told World Watch Monitor that “a large number of attackers wearing dark brown and green turbans” told him that a text message had been circulated saying that the Christians had demolished a mosque, so they had come to avenge the “blasphemous act”. Shahnawaz Khan, a UK-based Pakistani journalist, told World Watch Monitor that brown and green turbans represented membership of the Sunni Tehreek (ST), or Sunni Movement. The ST is defined as an ultra-radical movement, distinct from Sufi and Wahhabi schools of thought, but anti-Christian and also against puritan movements within Islam. Khan added that the ST’s taking up arms, zeal for the blasphemy laws, anti-Christian stance and turbaned appearance are all indications that they are the most likely group to have attacked Michael Town. Although the Pakistani police initially tried to strike a compromise between the Christians and Muslims in Karachi, in the end they registered two criminal cases against the Christians. The first case was registered against three men (Yasir, Harry and Waqas Masih) for allegedly murdering a man who was part of the Muslim mob and who died in the stampede. The second case was lodged against Ubert, Ilyas and Babar Masih under Pakistan’s blasphemy laws. No criminal case for the rampage and arson carried out by the Muslim mob was registered, primarily because the Christians feared a backlash. About 300 Christian families had to flee from their homes in the wake of the blasphemy accusation. They returned after two weeks following mediation by the Sindh government. But the legal cases are still pending and these Christians will face trial. 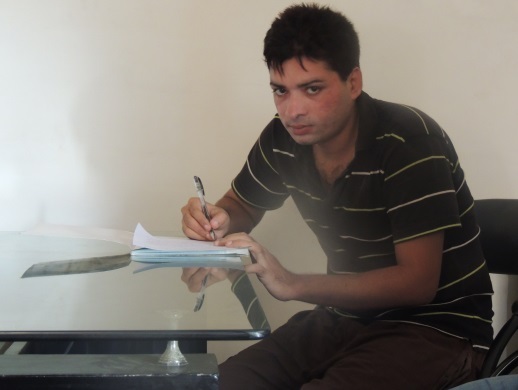 Adnan Masih went into hiding after a case of blasphemy was registered against him on October 8. His brother, mother, aunt and uncle were then detained to pressure him to return. His lawyer said police tortured him after he turned himself in on November 6 to secure the release of his family. Apart from the blasphemy case registered against the residents of Michael Town, three blasphemy cases were also registered against individuals. The most recent blasphemy case registered against three Christian brothers is the most extreme. Tariq, Waris and Munawar Masih make fireworks in the Christian community in the village of Thatha Faqir Ullah, Gujranwala. On October 27, one of their friends, Khurram Shehzad, came to them and asked for fireworks for a wedding. According to the police report lodged the same day, only one of the five fireworks went off. “When the fireworks that did not go off were ripped apart, pages of the Qur’an were found [inside],” states the report. Farukh Tanveer Chaudhry from the Pakistan Minorities Alliance said a mob then went to the brothers’ shop and beat them up. He said some Christians intervened by extracting an apology from the brothers, who told them that they did not know about the contents of the fireworks, and were not intending to insult Islam. “The family whose wedding it was stopped pushing the matter any further after the apology, but Shehzad and a local cleric, Hafiz Muhammad Raza Shirazi, still insisted a criminal case be lodged against Tariq,” said Chaudhry. After the registration of the case, Tariq Masih fled from the area and has been hiding ever since. Meanwhile, the police have detained his two brothers, who were not mentioned in the police report. In a similar case in Lahore, Adnan Masih went into hiding after a case of blasphemy was registered against him on October 8. The complainant, Abid Mehmood, said that he used to work in the Diamond Glass shop, where he met Adnan Masih. He says that on October 7, Masih was reading “I asked the Bible why the Qur’ans were set on fire” [Urdu: ‘Mein ney Bible sey poocha Qur’an kyun jaley’], written by Maulana Ameer Hamza (the central leader of Jamaat-ud-Dawa, a political arm of Lashkar-e-Taiba, one of the largest and most active pure jihadi organisations in South Asia, mainly operating from Pakistan). Mehmood alleged that “when the next day, Tuesday October 8, I opened the book, I saw Pastor Adnan Masih had marked several pages, while on some other pages abusive words had been used against the Prophet of Islam”. Other reports claim that Masih had marked the pages with Biblical references that refuted claims made in the book. Aneeqa Maria, Director of the Voice Society (representing Masih in court), said Mehmood had distorted the facts in his report and that before the alleged incident, Mehmood and Masih had exchanged religious views. After Adnan Masih fled, the police detained his brother, mother, aunt and uncle to pressure him to return. On November 6, he returned to ensure the release of his family, which happened the next day. The police then brought Masih to court on November 9, though they are legally bound to present a suspect within 24 hours. His lawyer said the police feared a mob attack, which is why they delayed. However, she said the police tortured him during this period to extract a confession from him. She said that if Masih had fled, the police could have shot him from behind and later claimed he was trying to escape. The Christians in the local area have been concerned about a backlash since Masih’s blasphemy charge, due to the input in the case of Jamat-ud-Dawa. Although Masih is in prison awaiting trial now, many still fear for his safety. The third blasphemy case was registered against Asif Parvaiz in Lahore on September 25, only three days after the Peshawar blasts. According to the police report lodged by Saeed Ahmed Khokhar, he received a text message which insulted Islam, the Qur’an, Muslims and the Prophet Muhammad. The case was registered under the Telegraph Act 1985 and Pakistan’s blasphemy laws. Parvaiz’s brother Wasim told World Watch Monitor that his brother had lost his cell phone in August. He added that some of his brother’s friends had told him they had received some text messages that were insulting Islam, after which the network provider was asked to stop outgoing messages from the lost SIM. The treatment of minority Christians in Pakistan has come under the international spotlight recently. The most high-ranking Muslim in the UK government, Baroness Warsi (born in England to Pakistani immigrants), spoke about the difficult climate for Christians in a visit to Washington on November 15.